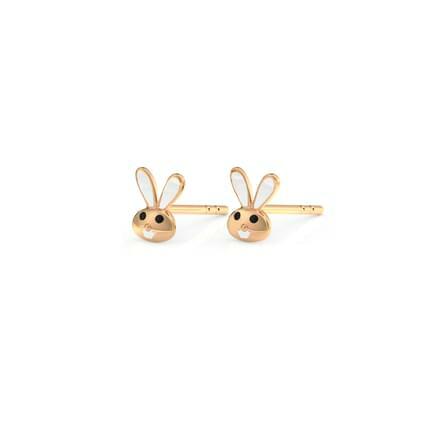 As cute as our little ones, gold earrings for kids must be comfortable and pretty at the same time. A kids first gold jewellery is mostly a pair of stylish gold earrings. 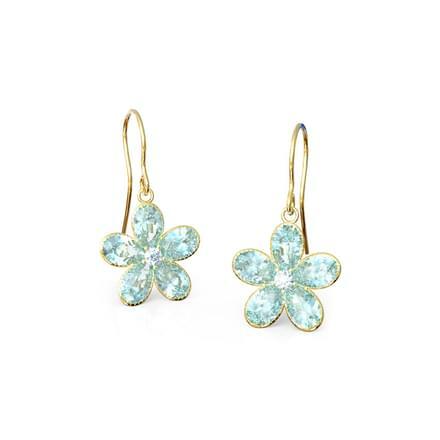 Gold jewellery for kids is very selective according to their parents' choice and make for great memories for life. 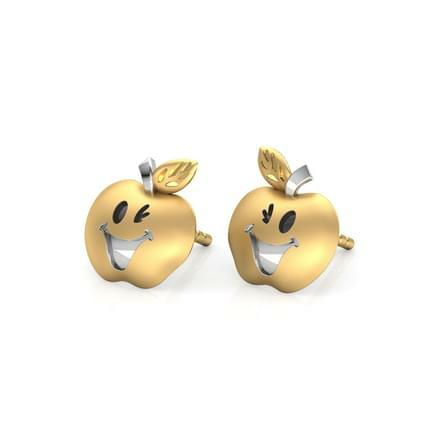 CaratLane has arranged an awesome range of gold jewellery for kids which includes a vast range of gold earrings available online. 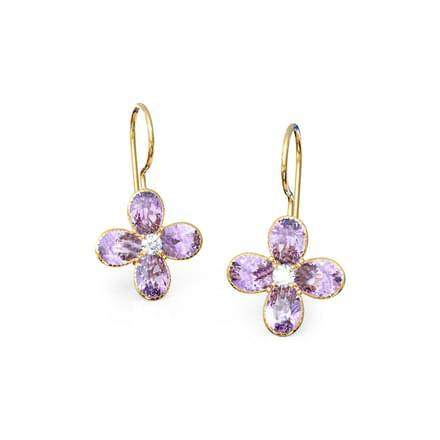 Buy latest designs of gold earrings for kids, which are smart yet not too loud for a young one. 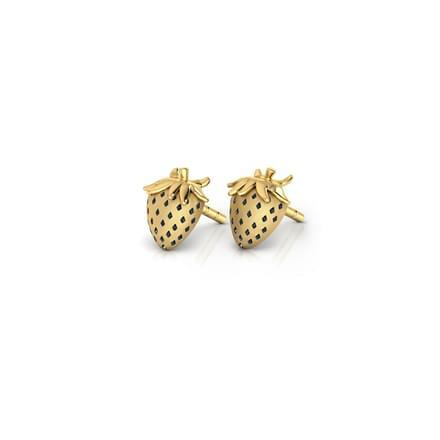 Gold earrings are among some of the top-selling forms of gold jewellery used as gifts by parents and grandparents for their little ones. 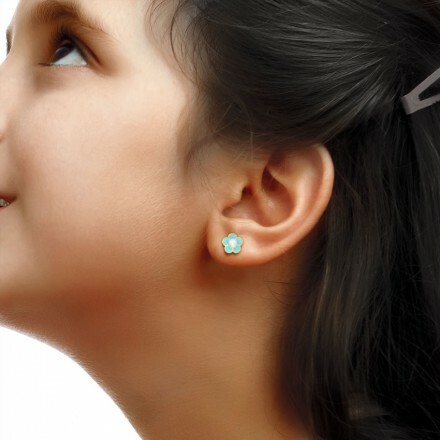 Gold jewellery is a valuable form of investment for kids at a young age. 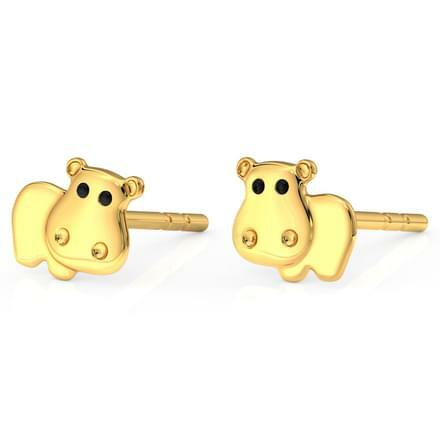 CaratLane's range of gold earrings for kids is available online at a price range between Rs. 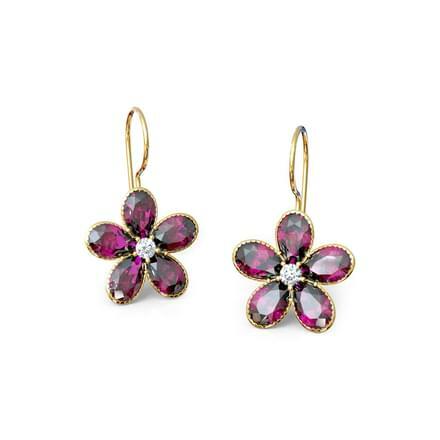 5,000 and Rs. 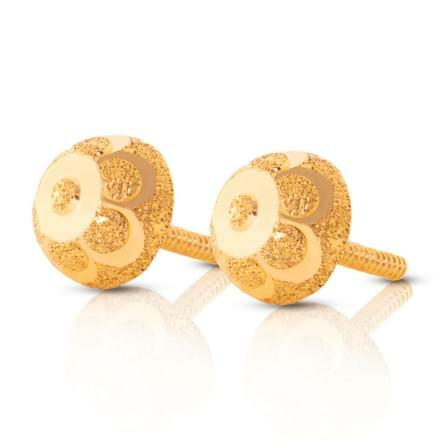 20,000, which is set in yellow gold and white gold. 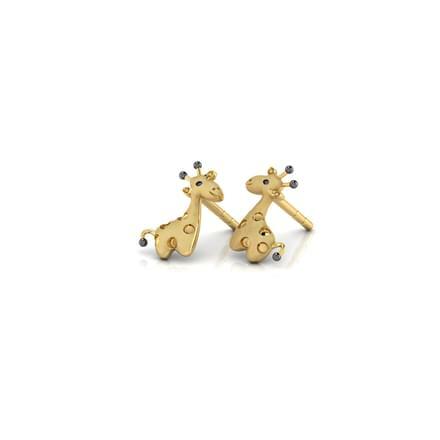 Hoops and huggies are a smart style of gold earrings for kids and can be adorned as everyday wear easily. 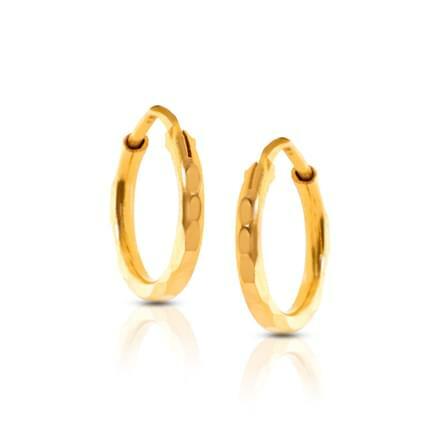 The sleek pair of gold earrings for kids such as the Bella Twisted Hoop Earrings or the Ava Faceted Hoop Earrings are set in 22 Kt yellow gold. 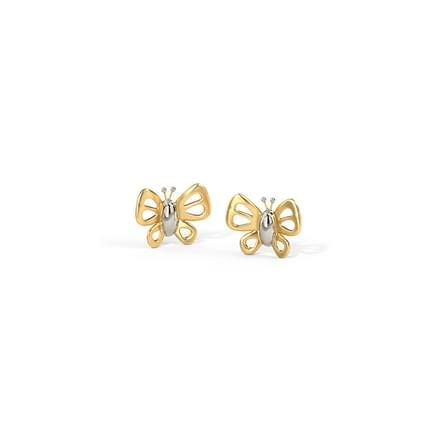 Stylish gold earrings such as the Ema Classic Earrings and the Elegant Ascending Earrings, both set in 22 Kt yellow gold are great for everyday wear for kids. 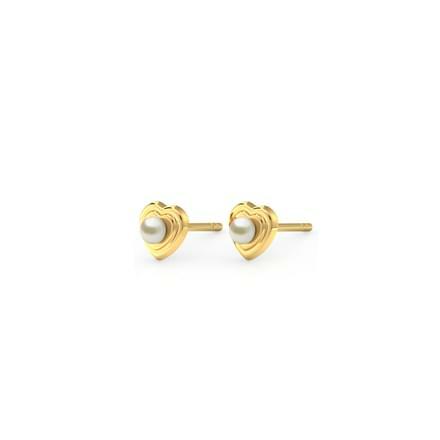 Charming studs and tops set in gold are the most adorned style of gold earrings for kids. 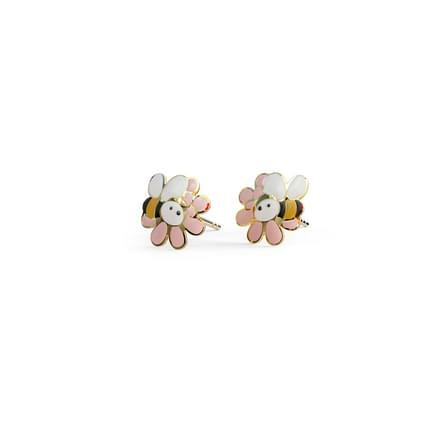 Based on an animal theme or floral patterns, the studs by CaratLane have been designed keeping in mind the choice of kids nowadays. The Beila Rabbit Stud Earrings and the Arlette Butterfly Stud Earrings, both set in 18 Kt yellow gold are very amiable designs of gold earrings for kids. 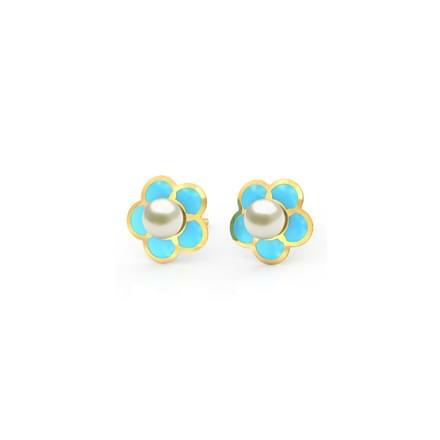 Set in 22 Kt yellow gold, the Pod Gold Stud Earrings and the Floret Gold Stud Earrings are beautiful floral designs of gold studs for kids. The Flower Textured Stud Earrings by CaratLane, set in 22 Kt yellow gold is a traditional models of gold jewellery for kids. 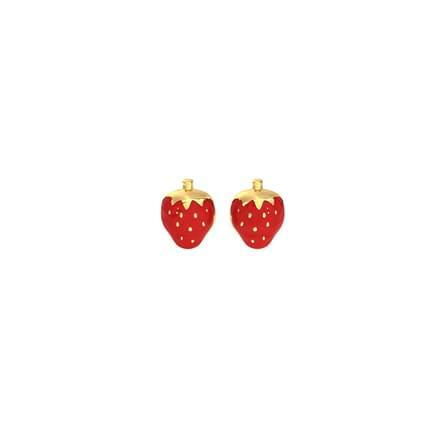 CaratLane also has a unique selection of drop earrings for kids as well. 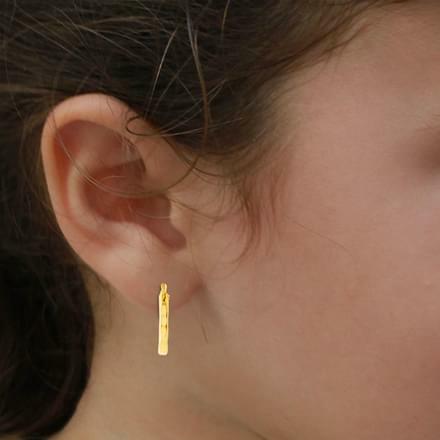 Check out its complete range of gold earrings for kids! 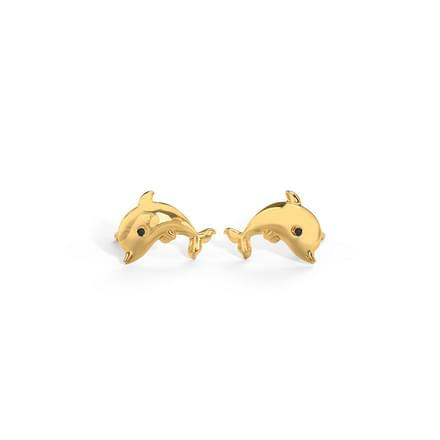 The contemporary design of the Husk Gold Stud Earrings by CaratLane, set in 22 Kt yellow gold is an attractive pair of gold earrings. 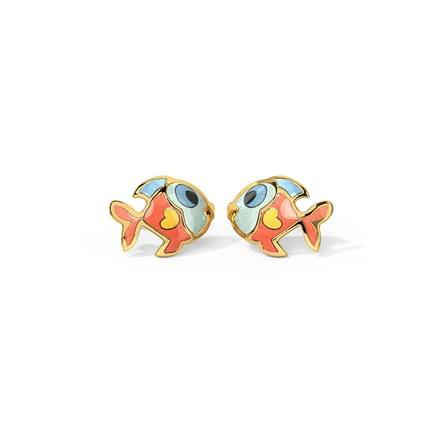 The ethnic-themed Bead Swey Drop Earrings and the Chime Textured Drop Earrings, set in 22 kt yellow gold are sleek yet appealing designs of earrings for kids. 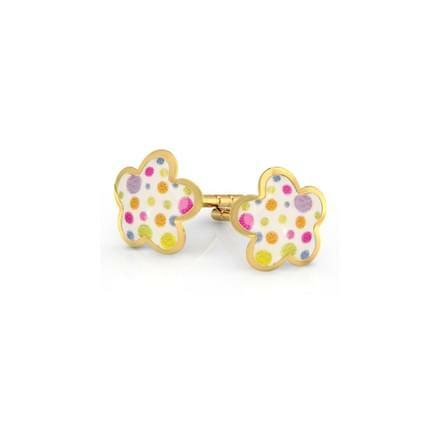 CaratLane caters to its customer of every gender and age, from men, women and kids and even infants. 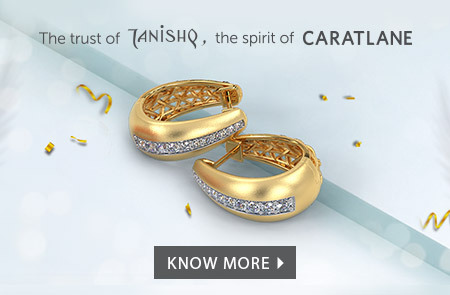 Buy from its gold jewellery for kids and make easy online payments through net banking, debit or credit cards and online transfers. 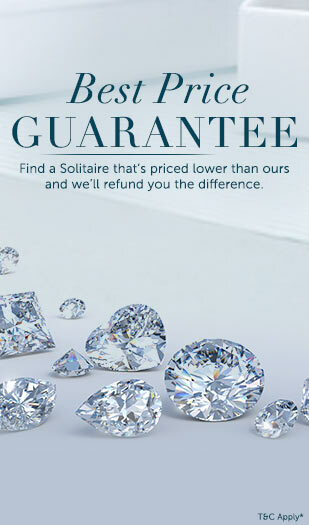 Customers can also avail facilities such as the 30-day free return or the lifetime exchange options. The portal also provides the Try@Home facility on its selected products.